However, there is not one single mention of “racial equity” on My-Linh Thai’s own campaign website. On her campaign home page, the word is “education equity”. On her campaign issues page, she listed many issues, but no mention of “equity” at all. So which My-Linh Thai is the true one? The one she wanted her voters to believe or the one media praised about her. Or to whom she told the truth about her agenda while campaigning as BSD board member. Now, Thai has won the reelection, and she is pushing forward her racial equity agenda in full speed. 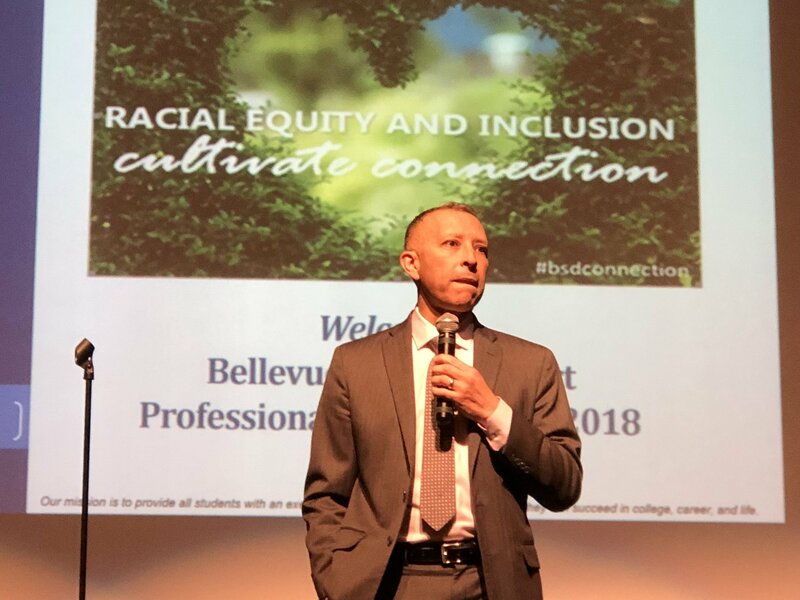 Superintendent Ivan Duran gave a big presentation on racial equity on March 16th. The school district has a 17 member equity team, and is creating racial equity policies. And the March 6th board meeting recording clearly showed that Thai was the one behind the entire racial equity policy push with help from Jones and Duran. She even wanted to push for the school board passing of the policy at first reading. Thai knew that she could not run a successful campaign promoting racial equity. Our state law prohibits it, so she hid the truth from the voters. We successfully stopped SB 6406, and we will not allow racial equity == quota policy at Bellevue School District.